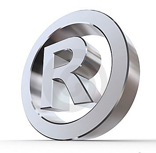 While common law marks and tradenames and trademarks do provide you with some trademark protection, the only real protection is a Registered Trademark – the magic ® . This symbol, or its equivalent in other countries, is only issued at the national level, so at least it provides protection in a given country. Since, most western nations, and others, give priority treatment and recognition of other countries registered marks, getting that first ® in your own country is very important (or in the countries where you transact the majority of your business). In most countries, the controlling body is known as the Patent and Trademark Office even though nowadays patents and trademarks have nothing to do with each other. To get a registered trademark, you have to apply with a proper description of the word, mark, symbol or sound you are trying to protect, and provide examples of its usage. This costs a small fee, and anyone can do their own, though this is not recommended unless you have really spent some time in this area. Before you waste your money, do your own trademark search in detail if you haven’t already done one lately. If you can find someone else using the same (or similar name or logo) in your field, then the application will probably fail unless it is a well used trademark (called a weak trademark) and you can “squeeze in” too with some specific claims in specific market niches only. The Trademark office will do their own search, both of other trademarks in their own registry, as well as the literature of the world related to the field in which you are trying to register. If you have done your claims right since the names was first used, they should find you and they should be able to see how you have been using the TM you claimed. Trademarks are filed phonetically, so if someone else sounds the same, then they are the same. Sysco®, Cisco® and Sisco® are all identical since they sound the same on the telephone. The only reason the trademark office granted them all registered status is because they are in very different fields. But having someone else with the same trademark is not a problem as long as you are in different international trademark classes, and the name has not yet reached superbrand status among the buying public. Dell® books and Dell® computers are both registered trademarks, but no one else can use Walkman® in any category, regardless of where Sony® first registered it. Compare this with common words like United or National. While they might bring a big brand to mind immediately for you, there are many registered trademarks using these names so no one “owns” the names outright. Similar things happen with initials. A sock company has a trademark on UPS even though a certain brown package company is a very dominant brand. In popular categories (especially 9 for electronic goods), the same registered trademark might be used for software, hardware and optical goods for example. And while you may be granted rights under this class as well, it will only be for a specifically designated application area. A complete summary of all the international trademark classes is provided on the next page. If you are not sure what class your company, product or service belongs in, please contact your naming agency or trademark lawyer. Note: In the USA, trademarks may also be filed at the State level, though this only provides a small amount of protection. Many states do not enforce or do anything further with their trademark register. We think it is only of use when you have some product or service that is very state specific and you would have trouble getting a Federal trademark. Disclaimer: Brighter Naming is not licensed to provide legal advice. The information here is provided as an overview service only.